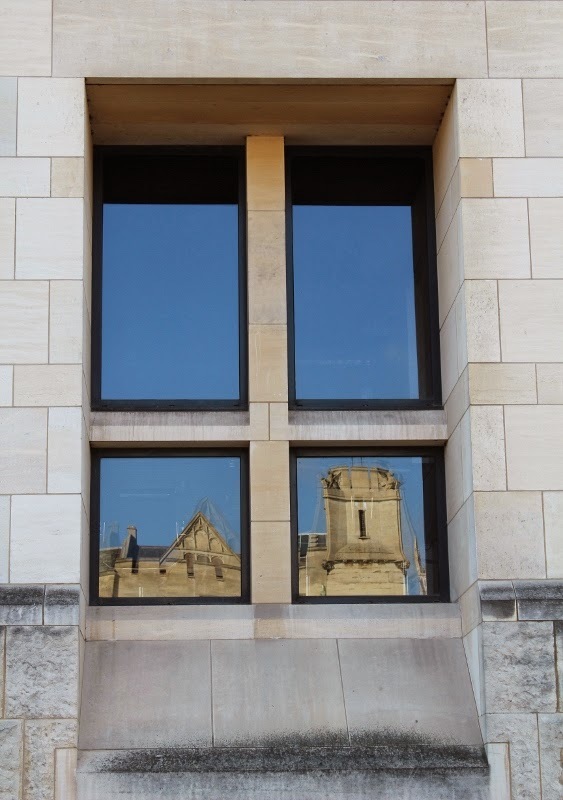 Always interesting to see old buildings reflected in the new. The old building in this case is Guildhall. Nice, too, how the old in this case seems to be borrowing a trick or two from the old. Needs a few more centuries of wear, though, to be convincing. It is indeed, and the new building looks quite distinctive itself, at least in this framing. Nice framing of the old, Deb! That's a very nice shot, Deb.